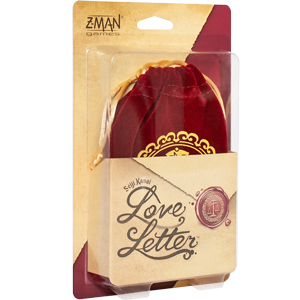 Order Love Letter through our website for FREE shipping on your pre-order! With a heavy sigh, the Chancellor sets down his quill. Stacks of parchment fill the desk, hardly fewer now than when the day began. Rising, he picks up the candle and a handful of materials from the desk. He mutters to himself as he descends the long, stone spiral staircase. For years, Love Letter has been one of the most essential microgames. Quick to teach, easy to play, and small enough to carry in your pocket, Love Letter is the perfect casual game for any occasion. Pre-order your copy of Love Letter through our webstore today to receive free shipping, available for the 48 contiguous states. Love Letter is a classic that is already a great game. You don't need to fix what isn't broken! We put our heads together to brainstorm and took note of requested features fans wanted. In addition to refreshing the art, we made a few gameplay improvements. Opening the game up for more players will accommodate a full game night. A group of four is great, but a group of six is even more fun! To ensure a well-paced and balanced game experience, our development team tested increasing the number of cards and adding new characters. The final product has five new cards added to the original sixteen card deck: one additional guard and two new characters with two copies of each. The Chancellor is the advisor and administrator of the royal family. This new addition to the game is a deceptively powerful card. 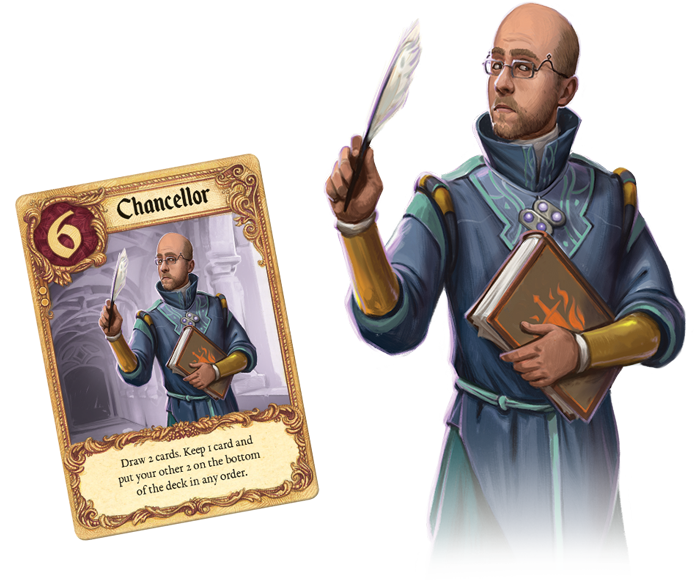 Playing the Chancellor will not only allow you to find a high-value card, but it gives you the advantage of knowing what lies on the bottom of the deck. With a value of 6, the Chancellor could win you the round; but choose your move carefully—playing the Chancellor for his ability could be the wiser play. The Spy, master of secrets, finds a wealth of new opportunity in the recent events surrounding the royal family. However, the secret missives and communications of the royals are most valuable when possessed by a select few. To benefit from the Spy, you must be the only person still in the round with the Spy in your play area. If the Spy is played at the right moment, you'll be one step closer to winning the whole game. 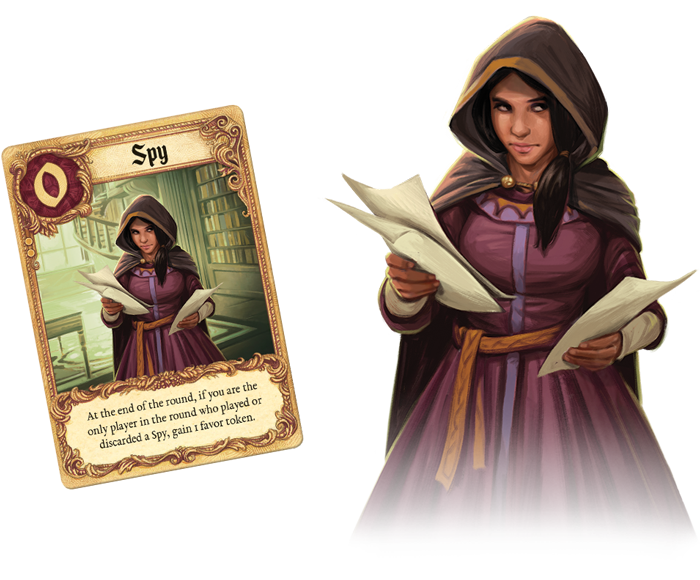 Playing the Spy too early could pin a target on your back but wait too long and the low numerical value won't be enough to carry your letter of intent to the Princess. Who's in or Who's out? Did you find yourself constantly asking who was still in the round? Now you won't have to worry about that! 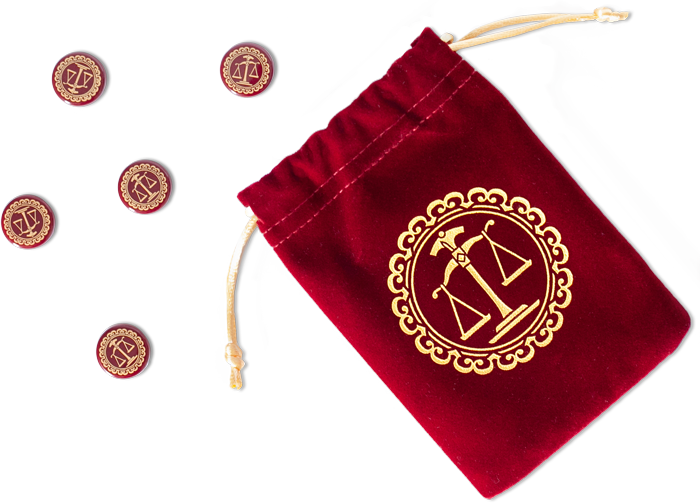 Once a player is knocked out of the round, they'll flip over the character reference card to reveal a broken wax seal. A quick glance around the table will tell you who is still in the round and whose letter didn't quite make it. Who will you use to carry your missive to the Princess? Can you earn her trust and become her confidant? Pre-order your copy of Love Letter today and prove your worth.